The provincial government is increasing access to the opioid antidote naloxone and providing additional funding to harm reduction organizations in Nova Scotia. The funding, totalling just over $1 million, was announced Friday. The Department of Health and Wellness will spend $564,000 to purchase and distribute naloxone kits. They will be given to organizations like community pharmacies and municipal police forces. Another $550,000 will be shared by three harm reduction organizations in the province during the next fiscal year. Northern Healthy Connections Society in Truro will receive $160,000, Mainline Needle Exchange in Halifax will get $247,000 and Sharp Advice Needle Exchange in Sydney will get $152,000. Naloxone is used as an antidote for opioid overdoses and often can save the individual’s life. It is already available in ambulances, emergency rooms and to some individuals being released from correctional facilities. Diane Bailey, director of Mainline Needle Exchange, estimates that 2,500 people use Mainline’s services. She is hoping her staff will be trained on how to use the naloxone kits soon so that they can start a larger community outreach program to help prevent opioid overdoses. “I am hoping all the staff will be trained to start on April 1,” said Bailey. Strang said that last year, 60 people died of opioid overdoses in Nova Scotia. Four of those deaths were related to illicit fentanyl. Fentanyl is an extremely dangerous synthetic opioid. Sometimes, it can take as little as two milligrams for an adult user to overdose and die — that’s about two to three grains of salt. 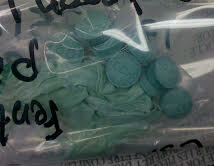 Fentanyl is also being found in other street drugs like cocaine and crack cocaine. Halifax Regional Police are warning the public about illicit fentanyl as well. They issued a public warning regarding the drug on March 1. 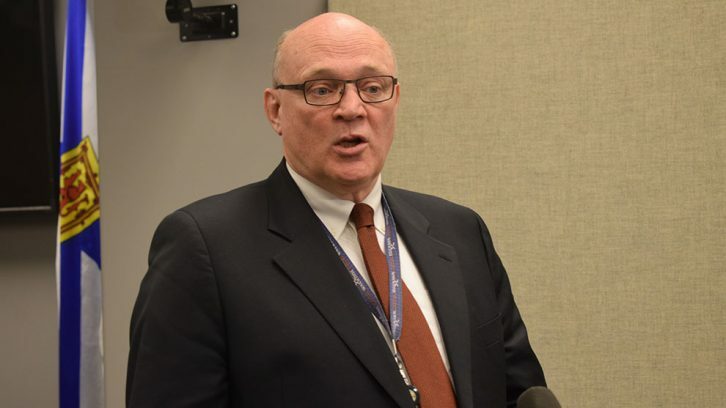 According to a news release, Halifax police have conducted six raids since the beginning of the year where fake oxycodone pills containing illicit fentanyl were found. Nova Scotia hasn’t been hit as hard as western Canada by the opioid crisis, but the government’s plan is to get ahead of the problem. 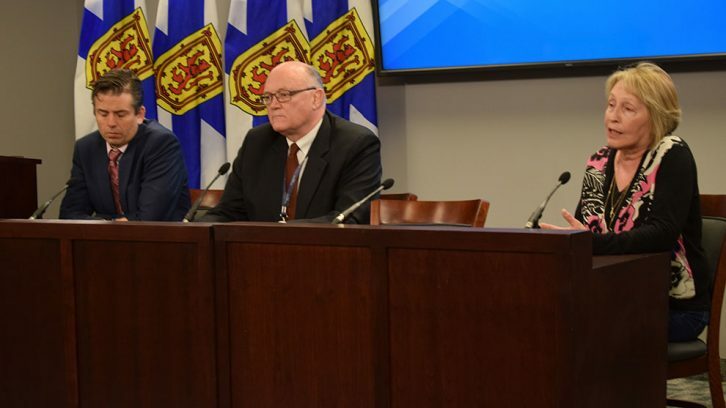 Strang explained that Nova Scotia has the luxury of creating a response plan before it becomes a crisis, unlike British Columbia who had to create a plan after the crisis had already hit. When asked how long it will take to solve the opioid crisis and how long the extra funding would be needed, Strang was uncertain. The government is expected to have a detailed opioid response plan in the spring.